I love this time of year. Mom has been in Atlanta for a week, we traveled to see my little brother and his family yesterday, and we’ll be seeing my older brother and his family tomorrow. Today we are eating delicious food and crafting away before dinner tonight with other family. I’m so grateful for all of these things. That’s what Thanksgiving is all about, right? Falling for Leaves Bundle. The Falling for Leaves Bundle is amazing – you’ll be falling for these leaves during Fall (see what I did there?) and throughout the rest of the year. Not only does the Falling for Leaves stamp set features some great sentiments (I LOVE the styling of this “Thinking of you with a grateful heart” sentiment) and fun, modern images of a variety of leaves, but the coordinating Detailed Leaves Thinlits Dies are a perfect accompaniment. Here’s a look at this bundle: I’ve always thought that leaf sets have a fixed life, thinking they are only good in Autumn. While it’s certainly true that we think of leaves when they change color and Fall, I always find that I use leaves for a variety of projects throughout the year. Color Blocking. The color combination and color blocking on this card were lifted from an unexpected place. As I was having dinner at my favorite Indian Restaurant, Viceroy, in Atlanta, I saw a gorgeous color combination on the restaurant’s walls – I snapped this picture from me seat (so as to not alarm anyone). Scroll back up to see how this pattern is replicated on my card. Inspiration is everywhere – even in yummy eating establishments. I hope your Thanksgiving is everything you want it to be. Whether you choose to be with family or friends (or if you prefer to be left alone) this season, I hope you get exactly what you want. Take time to do what you want with the people you love. 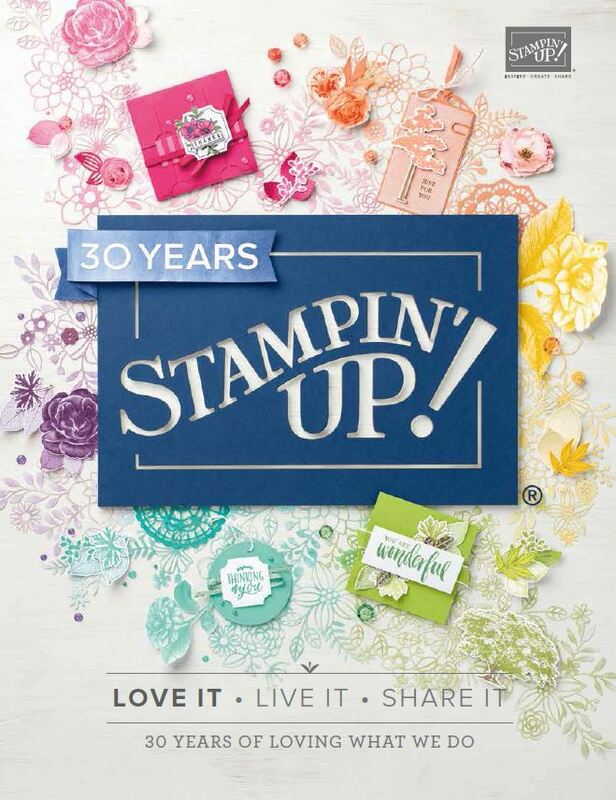 Stampin’ Up!’s Online Extravaganza Starts Tomorrow! Happy Thanksgiving Brian, I’m grateful everyday for you and your wonderful Creativeness, kindness and humorous wit. Sounds like a busy few days of fun, family and crafting! Your blocks of color on your card are fabulous…..tres chic! Hugs to your mom and Happy Thanksgiving my friend from the frozen north! Knock me out with those blocks of color and your fabulous inspiration! Happy Thanksgiving to you and your family Brian! It’s 2 degrees up here in Maine but your beautiful card warms my heart. <3 Enjoy the day! Great color block card! Happy Thanksgiving to you and give a hug to Jeremiah and mom for me!!! I love the color combination and where you got your inspiration! I now “see” in SU! colors. LOL! Happy Thanksgiving! WOW! That is one knock out color combo! Love it. I’ll have to start paying more attention to how places are decorated when we dine out. We are off to share an amazing dinner with friends and their family. I’m hoping my face doesn’t freeze from the car to the house – yes it IS that cold. Happy Thanksgiving to you, Mary and all the family. Enjoy! Happy Thanksgiving to you and yours !! We have so much to be thankful for that it just fills me with gratitude on this special day . Eat lots of yummy stuff !!! I know I am !! Happy T’day to you! I love everything about this card! Love color blocks! Great card. Have a great and safe holiday and the coming days. Sounds like they are packed with fun, food, family, friends, and fun crafting! What a striking card Brian! Happy Turkey Day to you and yours! Love the color combination, and the story behind it! Wishing you a fabulous Thanksgiving. I am so thankful for you my friend! This card is really beautiful, including the colors! I hope you had a wonderful Thanksgiving! I’m so sorry I’m so late in wishing you a Happy Thanksgiving Brian, but still, I’m incredibly grateful to know you through your wonderful blog for so many years. It was a lucky day for me when Mary talked about you on her blog and directed us to go check your blog, which I did and ever since then, I’ve been inspired and grateful with everything you do. Thank you my dear friend, every day I’m grateful for you. I’m catching up on emails and blogs, so I didn’t see this till after Thanksgiving, but I hope yours was great. I am in love with your color block card. The inspiration wall is fantastic and I cant wait to try this color combo soon! Wowzers! !